We talk all the time about the diversity of tech conference speakers. Many conferences aim for having 50% women speakers; other conferences have barely any women at all and make no effort to change that. We talk less often about how many people of color are on stage, but that’s a big issue too, and many conferences are making an effort to improve in that area as well. But once the speaker gets on stage, does the diversity end there? I often use stock photos in my slide decks, usually of people using computers and mobile devices. I took a look at one of my recent slide decks, and although I included a good mix of women and men, I found out that only one of the ten photos of people in the deck was of a person of color. That wasn’t intentional, and now that I’m aware of it, I want to do better. 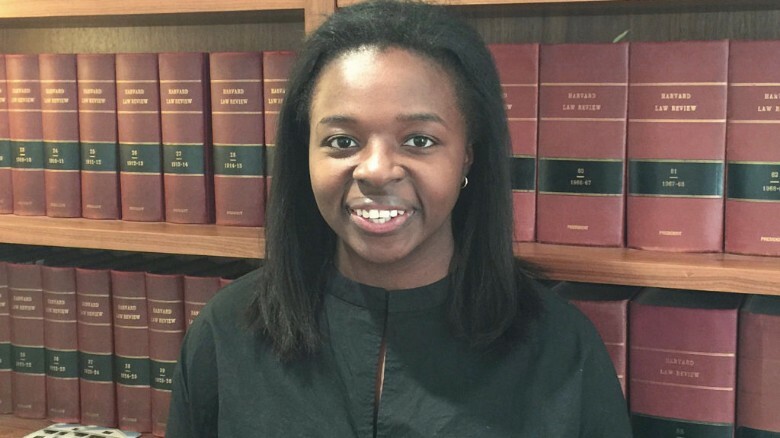 In January, ImeIme Umana was elected the first Black woman president of the Harvard Law Review. A law review is a scholarly journal focusing on legal issues. The editors of the Harvard Law Review are 92 students who are selected on a mostly competitive basis, and then the editors all vote on which editor will be president. 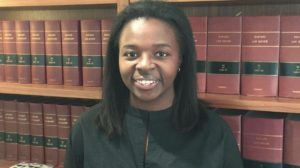 The law review president is basically the highest position a student can hold at Harvard Law School — and the Harvard Law Review is one of the most prestigious law journals in the world, with the largest circulation of any law review.